You can find some of Chicago’s best culinary options at this three-day street festival, located in the West Loop. An extensive and diverse list of restaurants will be lined up the street, serving you some of their top cuisines that will have you salivating over. While you’re eating the delicious food, a lineup of emerging and established bands will be playing a variety of genres for you to enjoy created by Silver Wrapper. You won’t be able to ignore the smells, so head over to Randolph Street to grab a taste. You typically picture the zoo full of young kids, either gawking over the animals or screaming in fear of them. Now erase that image and think about an adult version of an enjoyable day at the zoo. Wait until the sun goes down, add some beer and you have it. Adults are invited to Lincoln Park Zoo’s third annual craft beer festival, which includes beer tasting stations with over 75 specialty brews to choose from. Take a walk throughout the zoo’s beautiful gardens with a cold beer in hand and enjoy a unique viewing of the zoo animals after dark. There will also be lawn games and DJ entertainment throughout the night. Chicago is home to some of the best beers and breweries, represented in many of the unique neighborhoods that make up the city. Wouldn’t it be cool if we were able to try one from each? Lucky for us, Illinois Craft Brewer’s Guild partnered with Choose Chicago to create bi-monthly tasting events that highlight neighborhood breweries. This week presents Wicker Park, Bucktown, Logan Square, and Avondale. These bordering neighborhoods are known for their trendy and hip atmosphere, created by their artistic style represented in the boutiques, shops, cafes, restaurants, and nightlife. Participating breweries include: Piece Brewery, Pipeworks Brewing, Revolution Brewing, Hopewell Brewing, Aleman Brewing, Lake Effects Brewery. For more Chicago Beer Festivals and Tastings, check out this 2017 guide! Laughter is the best cure to a long, stressful week. A handful of famous female comedians started out in the Windy City, including stars like Amy Poehler and Tina Fey. The Chicago Women’s Funny Festival was created to blend diverse women to showcase a variety of different comedic art forms. Some of the best female comedians will be featured under one roof at Stage 773. This event is now in its sixth year, started by producers Jill Valentine and Liz McArthur, who began this annual celebration to commemorate women in comedic arts world. 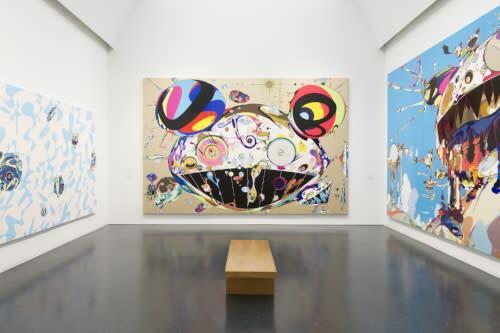 You might recognize Murakami’s work on Kanye West’s “Graduation” album cover or seen his collaborations with Luis Vuitton. He’s known for his anime inspired work that displays a blend of ancient and modern culture. This exhibit at the MCA showcases his work from the past three decades, a handful that have not even made its way to North America yet. Take a walk through his complex display of paintings that have been transforming the art world in the last ten years. If you are looking for more Blockbuster Exhibits, check out this 2017 list! 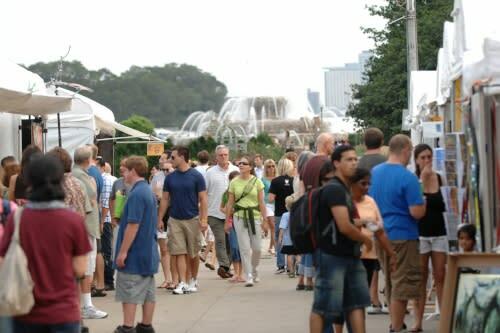 Weather will be in the mid-80’s, a perfect opportunity for a stroll through art tents in Grant Park. More than 300 artists from around the world will be represented in this street fest showcasing a variety of different mediums. If the art won’t get you to go, remember that festivals always have great food offered and live music to energize the crowd. 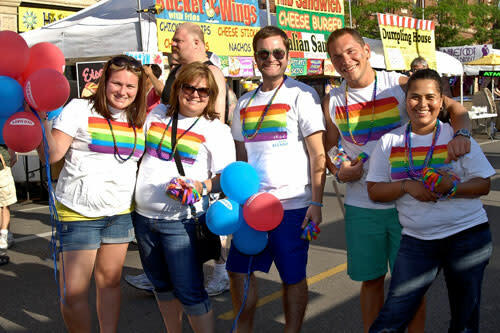 This two day street festival is held on by Northalsted Business Alliance, an organization that seeks to maintain safety and beauty within a community. Head to Boystown, home to one of the largest LGBT communities in the U.S., and experience this neighborhood that offers an energetic nightlife and eccentric shopping boutiques. Get summer ready with our Ultimate Guide to Chicago Festivals, which breaks down the biggest events of 2017. Check out our June festivals and July festivals or snag the NEW Chicago Official Visitors Guide packed with itineraries and planning tips.